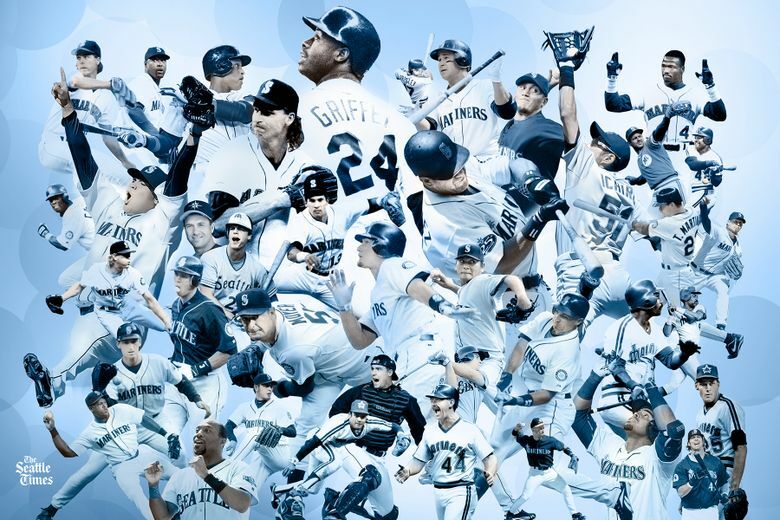 As the Mariners turn 40 this season, we decided to take a look back at the top 40 players in the franchise's history. We keep our top 40 list going with a look at the next installment (Nos. 30-21) on our list. Let’s continue our countdown of the top 40 Mariners in team history with a look at the players we voted in spots number 30-21. The list includes players from the first year to the present, choices you are sure to agree with — and others maybe not so much. The list was compiled in a vote by Times staffers Larry Stone, Ryan Divish and Bob Condotta. We will continue the countdown with players 20-11 and then 10-1 the following two days. 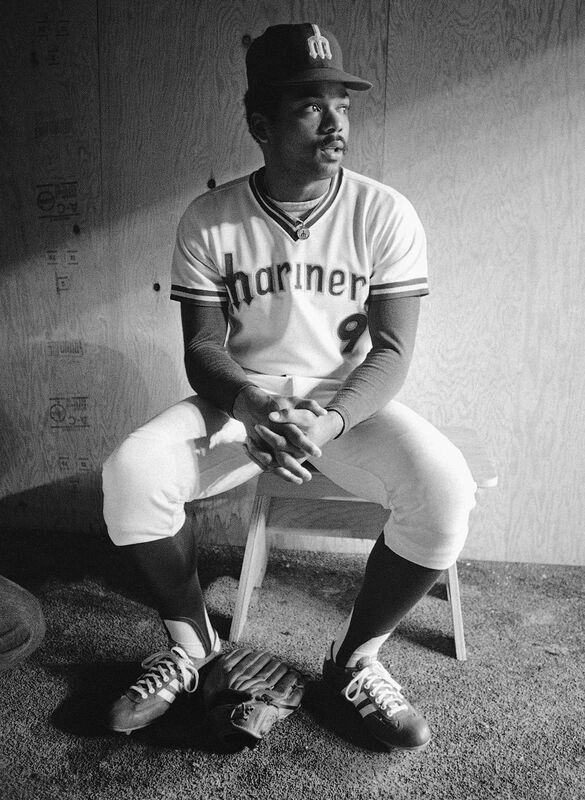 Why he’s on the list: Only spent three years as a Mariner but was the first player to really give local fans anything to get excited about, becoming the franchise’s first All-Star in 1977. 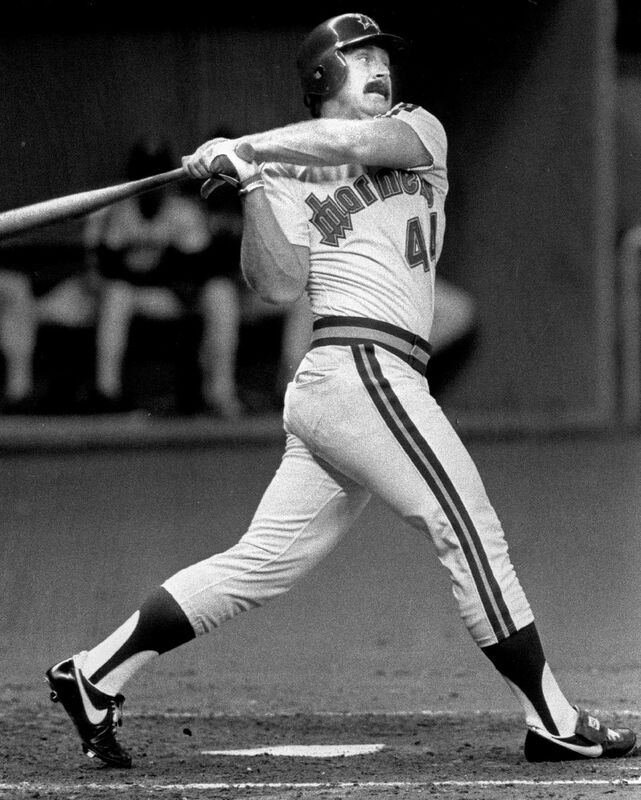 His three inside-the-park home runs, including two in the span of four days in 1979, remains a team record. Key stat: One of just four Mariners to play all 162 games in a season, Jones and Willie Horton were the first to do so in 1979 (Raul Ibanez also did it twice and Ichiro three times). Where he is now: Last known living in Rancho Bernardo, Calif., and has worked in human resources and has helped run a youth team with former Major Leaguer Dave Stewart. Why he’s on the list: The Seattle native and graduate of Ingraham High provided some rare moments of excitement during the often-too-dreary mid-80s with 105 home runs, tied for 10th in team history. Also is second in team history in on-base percentage at .392 behind only the .418 of Edgar Martinez. And thanks to “Seinfeld,” scores points for being part of one of the most famous trades in team history, dealt to the Yankees in 1988 for Jay Buhner. Key stat: In an accomplishment that might seem at odds with his power-hitting image, is tied with three others for fewest times grounding into a double play in a season while playing in at least 100 games, doing so just once in 1984 (the others are Joe Simpson, 1982; Ichiro, 2009; Michael Saunders, 2010). Where he is now: Phelps, who played at Arizona State, lives in the Phoenix area and works in local broadcasting. Why he’s on the list: Moore may not have quite lived up to the hype of being the No. 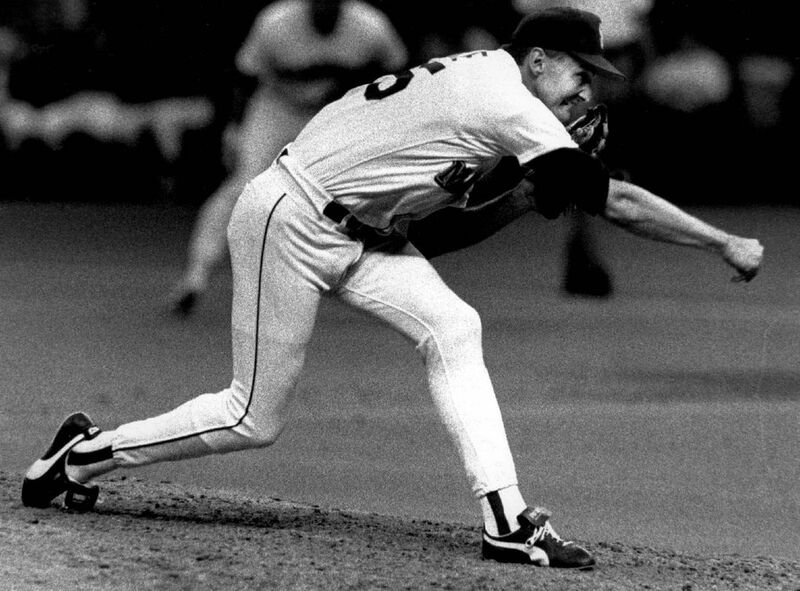 1 overall pick of the 1981 draft, but he ranks first in Mariner history in complete games (56), is tied for third in shutouts (nine), fifth in strikeouts (937) and sixth in wins (66). Key stat: Moore’s 37 games started in 1987 remains a team record. Where he is now: After playing career ended in 1995, he returned to his native Oklahoma and in 2014 served as a volunteer assistant coach for Lookeba-Sickles High. Why he’s on the list: Was as vital as anyone to the magic of 1995 — his WAR of 4.5 that season was third on the team behind Randy Johnson (8) and Edgar Martinez (7). Made the All-Star team that year with 31 homers and 111 RBI. Then he hit .409 in ALDS win over Yankees. Key stat: Set team record with five walks in a game in 1993, later tied by Alex Rodriguez, Rickey Henderson and Edgar Martinez. Where he is now: Living in his native West Tampa, Fla., was hitting coach with Miami in 2013. Why he’s on the list: Some of his overall Mariners’ numbers might seem underwhelming compared to others who could be considered, but he was a key member of all three of the team’s division winners in 1995, 97 and 2001 — the only pitcher to be a part of each squad. And his acquisition midway through the 1995 season helped key the run to the AL West title. 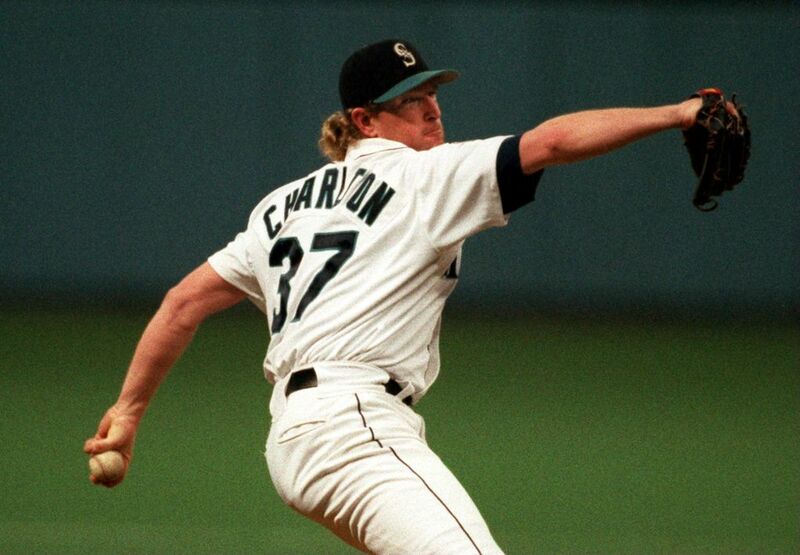 Key stat: Charlton allowed just two earned runs in 14 postseason innings with the Mariners. Where he is now: After a post-playing career that included a stint as the Mariners’ pitching coach, returned to Rockport, Texas, where he has been operating fishing charters. Why he’s on the list: If he plays a few more years with the Mariners he’ll be higher on such a list the next time around. 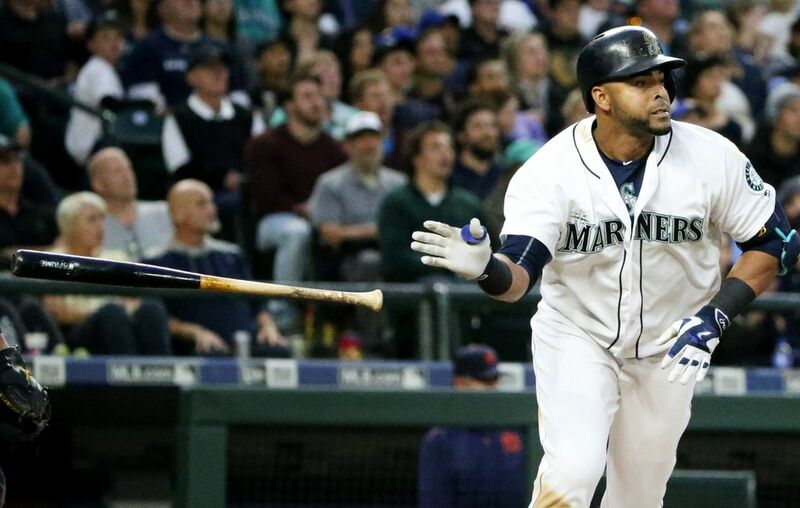 His 102 HR as a Mariner as of July 7 is just three off the team’s top 10 list and his slugging percentage of .550 would be third-best in team history behind Alex Rodriguez and Ken Griffey Jr.
Key stat: Had 51 home runs as a Mariner at Safeco Field as of July 7, seventh-most in team history and with 12 more would move into second (Raul Ibanez has the most with 83). Where he is now: Typically batting cleanup for the Mariners. Why he’s on the list: Too high for a player who spent five seasons with the team during the basically dreadful mid-80s? Well, he also hit .301 as a Mariner, fourth in team history behind only Ichiro, Edgar Martinez and Alex Rodriguez, and is also fourth all-time in on-base percentage at .382. Key stat: 24 triples is fourth in Mariner history behind Ichiro (79), Harold Reynolds (48) and Ken Griffey Jr. (30). Where he is now: Serves as a special assistant for players services for the Major League Players Association. 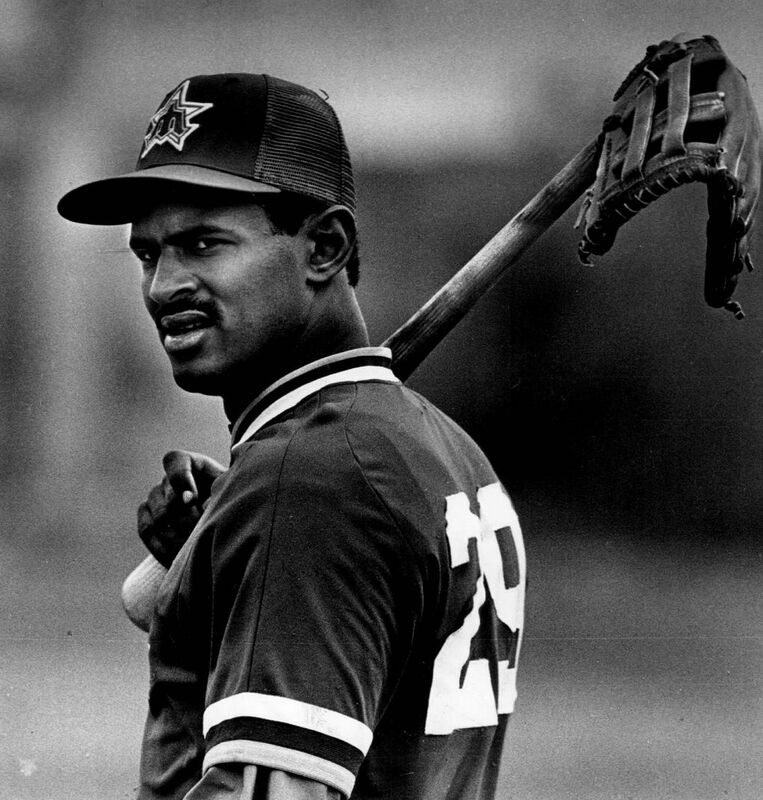 Why he’s on the list: Was as popular as any player during the early years for his enthusiastic style of play and gregarious manner off the field. Remains second in team history in steals at 290 (Ichiro had 438). 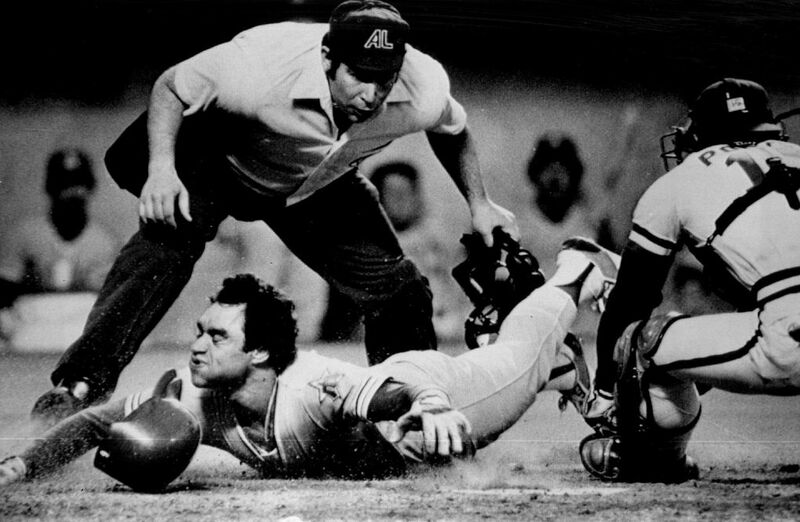 Key stat: Four stolen bases against Cleveland in 1983 set a team record since tied by four others. Where he is now: Lives locally and represents the Mariners at many functions annually, throwing out the first pitch before a game in June. Why he’s on the list: The 5-year, $64 million contract created expectations he may never have been able to fulfill. But the numbers make the case that he was as good of an all-around third baseman as any in team history. He won two Gold Gloves in his five years in Seattle (Kyle Seager is the only other Mariner third baseman to win one) and he averaged 24 home runs and 88 RBI his first four seasons before injuries crept up his final year. Key stat: Had a defensive WAR (Wins Above Replacement) of 3.1 in 2008, best in the American League. Where he is now: Member of the Texas Rangers. 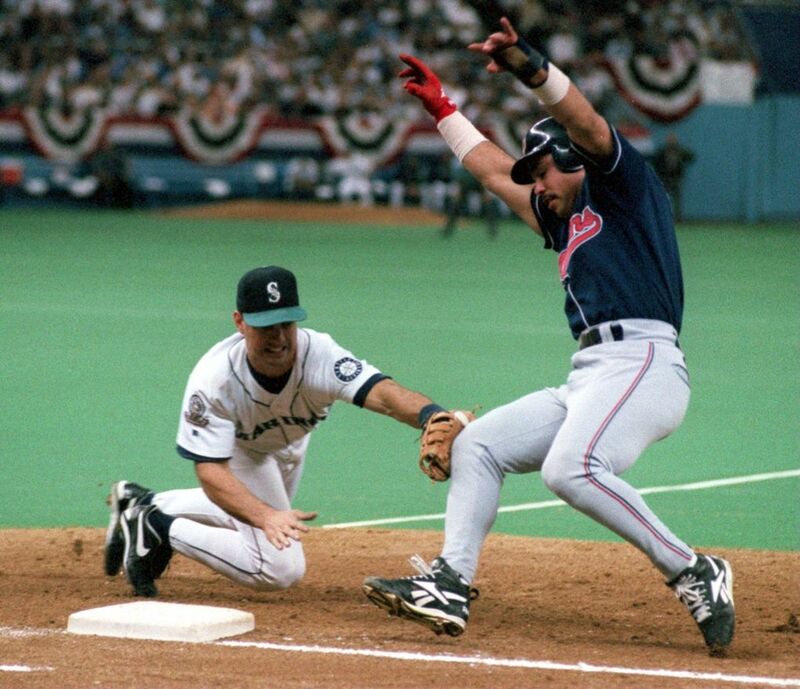 Why he’s on the list: The best defensive shortstop in Mariner history — who can forgot the bare-handed grab and throw to secure Chris Bosio’s no-hitter in 1993? 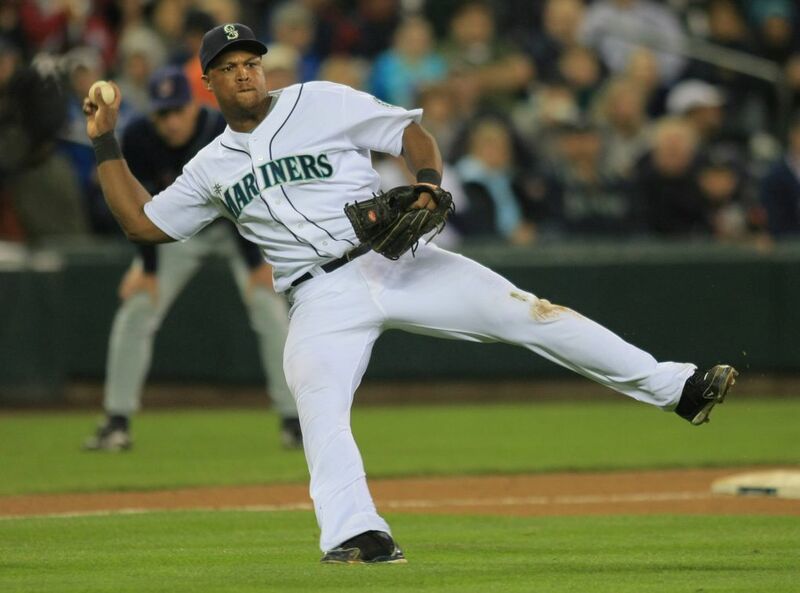 — he is the only Seattle player to win a Gold Glove at that position. 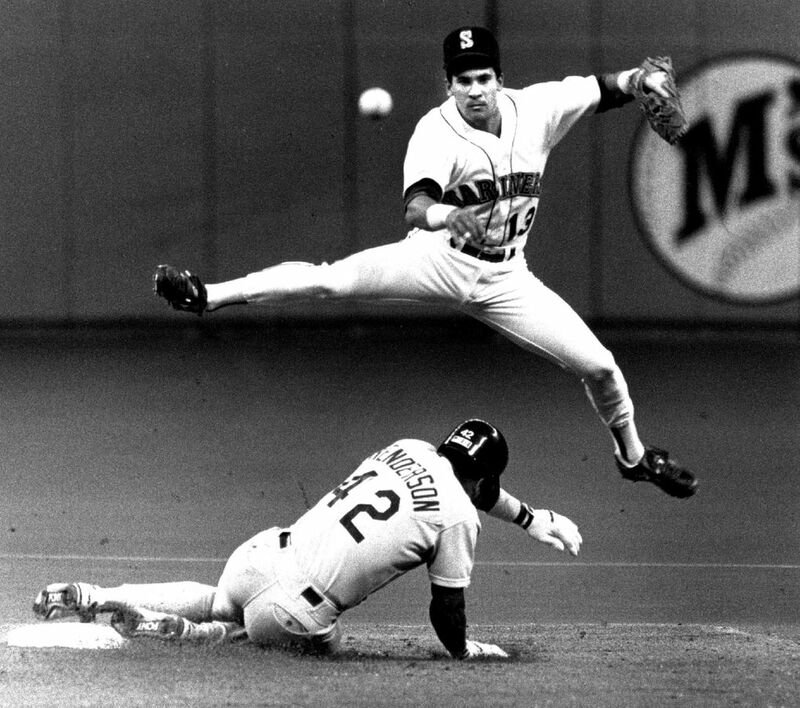 Key stat: Career-best fielding percentage of .989 in 1992 led the American League and remains a Mariner single-season record. Where he is now: First base coach with the Detroit Tigers.